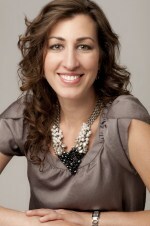 Mayna Sgaramella is a Wardrobe Consultant, Speaker, and owner of Closet Fly, specializing in educating men and women on how to maintain a wardrobe that works for their lifestyle. She believes you can look amazing, even throughout life’s many transitions, at any size, shape, age, profession, or budget. Through in-home wardrobe consults, body type and color analysis, personal shopping and coordinating services, Mayna’s clients feel empowered with knowledge on how to look their best and feel more confident than ever. Learn What to Wear, How to Wear It, What to Purge, and When to Splurge with Closet Fly! Before rummaging through closets and helping people develop "the rules" for a fun and easy-to-manage wardrobe, Mayna Sgaramella worked with teams as a business consultant helping people develop the most important thing they can invest in: themselves! As a Core Instructor since 2001, she helped students from her alma mater, Columbia College Chicago, and companies throughout the country to discover their own passions, learn to work efficiently, and achieve great results. During this time, she also discovered how improving her own image could positively change the way people perceived her at work. She her honed her skills and passion for fashion consulting, and took what was just helping out friends and family to the next level and started her wardrobe consulting business, Closet Fly, LLC in 2005. Mayna went on to receive training from New York Fashion Academy on textiles and fabric identification, Color Analysis from Image Awareness Center, and in 2011 she visited NYC to receive training from expert stylist and popular TV show host, Stacy London, from What Not To Wear. Mayna has also been a featured speaker locally and nationally doing seminars and workshops for businesses, universities, government organizations, and networking groups where she presents advice on appropriate business attire to help companies achieve their goals and represent a more professional image. She serves on Seattle’s Fashion Group International (FGI) board of directors and has been volunteering for the YWCA’s Dress For Success Seattle for over six years, dressing women in need from head to toe in donated professional business wear to help them advance their careers. Her experience in the fashion retail industry, consulting, and working with thousands of clients proves that she really listens and always makes her clients feel comfortable in an otherwise vulnerable situation. Mayna will be the first to admit that even though many people may need her services, she can only help those who want to learn. Through her services at Closet Fly, she will share with you valuable fashion advice that many have applied at home and at work. She communicates that "every day we are sending a message to the world through our appearance, so it is important for us to evaluate whether or not our message is aligned with our intentions. Maintaining a wardrobe that enhances the way you present yourself to the world can help you look your best, and more importantly, you'll feel amazing." Call now to schedule and appointment with Mayna at 425-922-0876 or email.